We go back to the days when the Zamorins ruled the North Malabar areas and were the suzerain of the Nayars, a proud race of Kerala. Among the gentry were also the well trained foot soldiers and warriors. Many tales of their valor can be found in books and poems etc. However, the ‘kalari’ trained warriors who were experts in martial arts, honorable close quarter fighting and the use of bows and arrows, swords, daggers and lances were typically geared to fight for and defend the Zamorin, the Cochin Raja and other nobles in their fights. Of course it was also so that one Nadu Vazhi or Sthanai went against his neighbor and used these soldiers to fight duels to settle his claims. This was their profession and these men frequently went away on long campaigns. Among the Malabar Nairs were one special class of fighters. They were the suicide squads of Chavers. They were the cause of much curiosity to the western travelers who recorded their bravery, sometimes terming it stupidity, and curiously this kind of valor never seen outside of the Japan’s Samurai class and the Kerala Chavers(the Chavers incidentally predated the Samurai). Let us start with the English phrase that is often used these days – RUNNING AMOK. Ever wondered what it meant? You read and glean easily – the riot started and everybody ran amok. The word Amok is stated to have originated from a Malay word Amuk which meant ‘mad of uncontrollable rage bordering on homicidal and suicidal intent’. But what connection does Malay have to all these? Towards the late seventeenth century Reverend Phillip Baldeus, the Dutch chaplain of Ceylon, describes the following practice among an elite of the Nair clan: ‘among the Nairos (Nairs) those who call themselves amok are the worst, being a company of desperadoes, who engage themselves and their families by oaths to revenge such injuries as are done them’. The Chisholm Britannica encyclopedia & Hobson Jobson encyclopedia states - In Malabar there were certain professional assassins known to old travelers as Amouchi Amuki or Amuco. The nearest modern equivalent to these words would seem to be the Malayalam Amar-khan, "a warrior" (from amar, "fight"). The Malayalam term chaver applied to these ruffians meant literally those "who devote themselves to death." In Malabar was a custom by which the Zamorin or king of Calicut had to cut his throat in public (this incidentally was all rubbish) when he had reigned twelve years. In the 17th century a variation in his fate was made. He had to take his seat, after a great feast lasting twelve days, at a national assembly, surrounded by his armed suite, and it was lawful for anyone to attack him, and if he succeeded in killing him the murderer himself became Zamorin (see Alex. 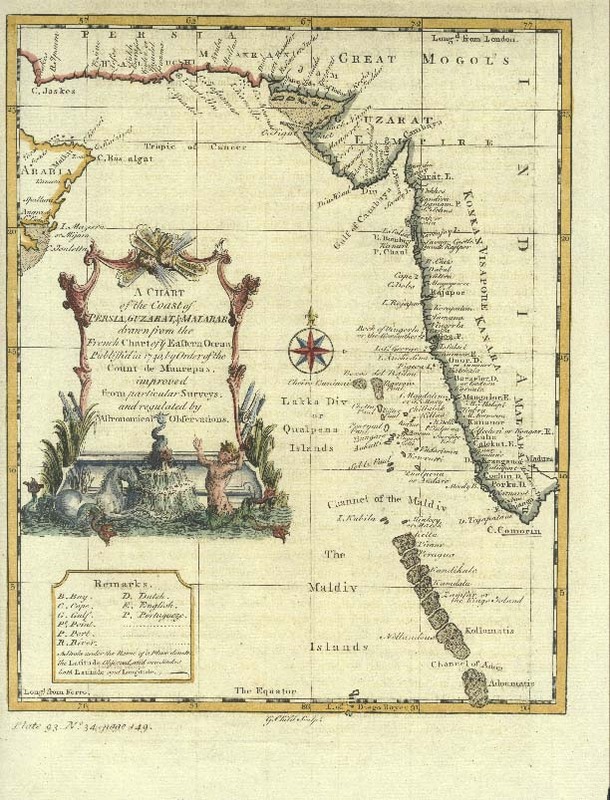 Hamilton, "A new Account of the East Indies," in Pinkerton's Voyages and Travels, viii. 374). In 1600, thirty would-be assassins were killed in such attempts. These men were called Amar-khan, and it has been suggested that their action was "running amok" in the true Malay sense. Another proposed derivation for amouchi is Sanskrit amokshya, "that cannot be loosed," suggesting that the murderer was bound by a vow, an explanation more than once advanced for the Malay amok; but amokshya in such a sense is unknown in Malayalam. Hobson Jobson even goes on to add a snippet that amoukis also defended the Syrian Catholics in Quilon. In any case very many travelers have stated that Amouki was a class in Malabar. But all this confused me – Well these are Amoucos. If you think like a Malayali, trying to roll the word around in your mind, you are reminded of only one close cousin. That is the word ‘hamukka’ used by Mappilas to signify cunning fellow…or was it to signify Amouki?? In reality all this boils down to a group called the Chaver and they are what we will talk about. Towards the end, we will try to figure out the reasoning behind equating Chavers to amarkhan and hamukaa. 'Among the kings of Hind and some who observe a special right upon their accession to the throne, rice is cooked for the new monarch and is served in a plantain leaf He invites from his companions, three or four hundred men and those who are willing, presents themselves to the king without any compulsion on his part. After the king hath eaten some of the cooked rice, he gives the remainder to those men who approach him one after another and receive from him a small quantity of rice which they eat. It is incumbent upon all those who partake this to burn themselves to the last man when the king dies or is slain." Marco Polo also mentions of a protector or body guard class called Amuki’s for both Hindu nobles and Christians. In olden days, Mamankam was a grand assembly of the Malabar rulers held once in 12 years, in which one among them was selected as the emperor of Kerala. . It was an enormous trade fair also. The Mamankam festival was celebrated for 28 days with great pomp and pageantry where traders from outside came on ships and barges to Thirunavaya through Ponnani port. Thus the economical importance of Mamankam was high and hence the right to conduct and control it was important. At the end of the rule of Perumals, the right of Mamankam was with Vellattiri, the ruler of Valluvanad. Later the Zamorin of Kozhikode took this right by force and this resulted in dispute and bloodshed between these two Rajas. Valluvanad Raja used to send Chaver warriors to flight until death, to recapture the right from the Zamorin, who would stand poised at Nilapadu thara in Thriunavaya, surrounded by a large contingent of soldiers, in every 12th year. The last of such Mamankam, was believed to be held in 1755, when Zamorin had a hair-breath escape from a chaver aged 16. The members of the Chaver army would have a ceremonial ritual meal the day before ‘mamankam’ to mark their impending death. They would be blessed by the priests and their fathers and mothers and all relatives; it was an honor to fight and die for your king. They would complete their last will and testament and prepare to fight until death. As explained previously, the people of Valluvanad wanted to take back the ‘mamankham’ rights. Thus the Chavers were not expected to return unless the Zamorin was killed and that was of course not expected. It was with this purpose that the "Chaver Pada" (The Suicide Squad) was organized. The Valluvanad Raja never compelled anyone to join this "Pada". The people voluntarily came forward to save this right of Valluakonathiri. The Raja blessed them in their valiant endeavor and prayed for their victory. Another rreason was that many of the Valluvanad tharavad’s had kudippaka (blood feud) against the Zamorin and had lost their members in the wars against him. More deaths meant incitement to the blood feud and new recruits to the suicide squads. To counter the local unrests and violent feuds, the Zamorin even followed a custom of 'implanting' Muslim families and the families of other commanders who had allegiance to him, in the captured areas of Malappuram. So who are the Chavers (those related to the mamamkham festival)? There were four Nair families under Vellaattiri ( Valluvanand raja) who used to send their heroes to fight and die in the Maamaankam festival. These were Chandratt Panicker, Puthumana Panicker, Kokat Panicker and Verkot Panicker. Along with them went a number of soldiers drawn from 'arms - bearing' Nair castes, sometimes including Muslims who opted to die. Most of these Chaver soldiers had lost their relatives or elders in previous wars with the Samoothiri, and were incited as explained above by the blood feud against him. They came from various parts of Malabar, assembled at Thirumaandhaamkunnu under Vellaattiri, and were led by commanders from one of the four houses. Valluvanad itself was headquartered and administered by Pallava descendants in today’s Angadipuram, neighboring Cherplassery, Ottapalam, Pattambi, Perinthalkmanna etc..The Maamaankam festival of 1683 is vividly described by William Logan in his Malabar Manual - "Amid much din and firing of guns the Morituri, the Chaver Nayars, the elect of four Nayar houses in Valluvanad, step forth from the crowd and receive the last blessings and farewells of their friends and relatives. They have just partaken of the last meal they are to eat on earth at the house of the temple representative of their chieftain; they are decked with garlands and smeared with ashes. On this particular occasion it is one of the houses of Puthumanna Panikkar who heads the fray. He is joined by seventeen of his friends - Nayar or Menon or other arms-bearing caste-men - for all who so wish may fall in with sword and target in support of the men who have elected to die." A deep well called Manikkinar, is believed to be the location where dead bodies of the Chaver pada were dumped. Angadipuram Thirumanthamkunnu Temple, close to Perinthalmanna is very famous and historically important too. The 'chaver sangam' started from this temple after their prayer on their way to Thirunavaya, the location of the 'mamankam'. There is a Chaver Thara (suicide stage) at the entrance (below the hill). The suicide soldiers of the king used to pray from this stage before venturing out on their mission. 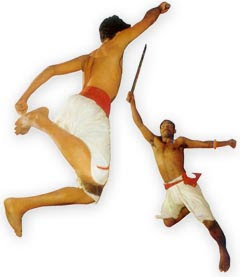 Each Swarupam had its own fighting force and Kalari. The Venad force was known as Janam or Arisippiti Janam. The Samootiri or zamorin, the ruler of Kozhikode, had constituted the fighting forces under different categories- Grama Janam, Lokar, Chaver, Akampati and Changatham. The Grama Janam could have been the militia of Desavazhies and there are references to a number of 'Grama Janams' in the list of invitees to the investiture ceremony of the Samootiri. The Lokar seems to be the military or paramilitary force in and around the capital, available to the ruler at short notice. The regulars of the Samootiri were constituted into Chaver and Changatham. The 'Changatham' served as the 'Akampati Janam' or retinue of Samootiri. The special force of Chaver served as the suicide squad or 'companions of honour'. These soldiers were always ready to lay their lives for the sake of the king. However it is not to be confused that Chavers were only from Valluvanad. While that was how it started (due to the Koodupaka (hereditary rivalry) at Valluvanad), after accepting suzerainty to the Zamorin, there were Chaver forces in North Malabar and there were Muslim Chavers as well aligned to the Zamorin (reconfirmed by Edgar Thurston – Page 287 Castes & tribes of South India). The Mappilas replicated this Chaver tirade during later riots against the British in the late 19th century by running fearlessly against British police bayonets. The moral driver of course was ‘veeraswarga’ (See MGS article referred below). Changathams of the Zamorin were also a kind of suicide squad (I wonder – did the word Changathi – ‘friend’ get derived from Changatham? One who would die for another dear one?) . Thus goes the story of the Amouki’s - the Chavers of Malabar. Let us once again focus on the word. Amarakkar or warriors became amouka to the Portuguese and Arabs. The Amouka became amouki, and then ‘amok’….Amarakkar and Chavers belonged to the warrior nair’s of Malabar. The Arab usage Amouki I feel (I am not at all sure, though) became the Hamukkas as termed by the Malabar Moppilas and even today used in Calicut and Malappuram dialects. Sometime in the 6th or 7thth century the legendary Bodhisena (Bodhidharma) traveled from South Malabar to Japan. It is with him that they say the cult of Kalari reached Japan, and the Samurai class was constituted, but that is just an opinion of some historians (The time lines coincide somewhat, just like the terms Samurai and Samorin) …Some of those details can be found in an earlier blog on Bodhidharma, Zen and the temple of Shaolin. Note – Chaver is not Chekavar. Chekavars (Aromal, Unniarcha etc) are Thiyas of Sri Lankan origin. They were also a much talked about fighting mercenary class of Malabar and will be covered in detail in another article. A very interesting Chaver story is recounted by Dr MGS Narayanan at his website – It is the story of Vellan Kumarn, the warrior saint. The article is very informative and interesting. Chavers have very few parallels in history. It is said that the mothers of the Chavers would visit the battle field to see the dead-body of their warrior sons. The death of those who suffered stab injuries on the chest was mourned. The dead-bodies of others with stab injuries on the back were shunned and abandoned even by their mothers. It is not similar to the suicide squads that attacked the British. Those squads were motivated by religious tenets and teachings. The concept of Chavers had no religious connotations whatsoever in it. As part of the symbolic gesture of the rulers of that region, the Chavers, the suicide warriors, challenged the suzerainty of the Zamorin. just a small clarification - There are mentions in history articles that the Shahid moplahs got the 'idea' of the method of self sacrifice from the method of the chavers. Now note here that I am only talking about the 'method', which is attacking a fully armed opponent with an intent to die and to effect maximum destruction in the process. The ideology of course is completely different. just wanted to knw..did the Mamankam festival and the practice of chaver suicide squads stop when a 16 year old came perilously close to killing the Zamorin or was it the invasion of Hyder Ali that put an end to it ? I understand that a total of about 55 Chavers met their death at the Mamankham until 1695(Now note here that we are talking only about the Chavers of the Mamankham festival). After this none have been reported or recorded, so let us conclude that the practice became symbolic since then. As far as the mamankham was concerned, the festivities were last held in great pomp in 1767. Hamukkas-liked the origin of the term. Also the Zamorin, Samurai connection. We have in our famiy tradition that we are descendants of Shri Somananda Konathiri from Valluvanad. He was a religious scholar on Vedas, an expert in Koothu, and Kalari payitt with the knowledge of Marmam chikilsa. The tradition has it that he came in contact with a Portugese missionary, Bernard by name. He studied the Bible and came to undersand that there is great similarity between the Old Testament and Vedas as both point to Christ. Hence he along with his wife, son and two others received baptism at Nila river and may be as a consequence of his conversion moved out of Valluvanad and took the family name as Koothur Vellattukara. Koothur to signify Konathiri and Vellattukara to signify Valluvanad. With the help of an elder from Manjula family in Mussoori, he was given land beside Adaam kayal (Enammavu) and close to Vellamadam Nairs (Naduvazhikal. pls let me study this in more detail & revert. I was not familiar with the story you mentioned..
you may want to remove the link you have posted of MGS Narayanan's site. it no longer points to the same. Hi Maddy ,thanks for the article. its nice to know about valluvanad and its warriors.if you could find more articles related to valluvanad nairs please post it. Me again, It was Perumpadappu Mooppil who go tthe right to preside over Mamaankham after Cheraman Perumal and Valluvakonathiri actually was his stanuch ally( It was not ally, but The Perumpadappu swaroopam had melkoyymma over all rajavamshams of Kerala (except Thrippaappi Swaroopam -Travancore). Zamorins defied this melkoyymma. When Zamorin cpatured vanneri, Zamorin got to be the head of Mammankham. And Valluvakonathiri wanted to restore Perumpadappu Moopil. SO he sent his and cochin's chaver to Mamaankham. Due to this relationship of Perumpadappu swaroopam and Valluvakonathiri, every year, even now, Kalam ezhuthuppaattu is being conducted in Tripunithura to honour THirumaandhaamkunnu Bhagavathy as Bhagavathy is family go of Valluvakonathiri. I know History of Kerala is not know to us in detail, but from the stories i hear from old timers this is what i have understood. Thanks Vijay, that was illuminating. i still have to study understand the real origin of these issues related to melkoyymma, kshatriya-hood, samanthan etc..and why all rulers desperately tried to establish that they were kshatriyas according to aryan and brahminical definitions.. I have the book and you can tell your cousin\brother to contact me. Then about the Kshatriya status - Like all castes, even kshatriyas too have sub castes. The Kshatriyas in Kerala can be divided into two. Kshatriyas with Poonool (Sacred Thread) and Kshatriyas without poonool. As per some stories, the Kshatriyas without poonool are mainly the Aadtyan Nairs\Menons\Eradis who got promoted to Kshatriya Status by some kings. One of the kshatriya family houses who do not have poonool is Zamorins and the Nilambur Kovilakam. Even in the Kshatriyas with Poonool, there are certain level differences. You might have heard about the term "Hiranya-garbham", the ritual followed by Travancore Kings before their coronation. This is to convert their status to Kshatriya and only after that he can wear Poonool. You might have read about the ritual "Murajapam" in Trivandrum. The Namboothiris used to close their mouth and chant vedas when King enters the Murajapam site. So that is why many Namboothiris left Valluvanad and Vanneri to erstwhile central kerala after Samoothiri conquered these places. Similarly, many of them fled places like Kayamkulam, Chengannur, Kottayam etc. to Central kerala after Marthanda varma conqured those areas from the kings of those areas. The reason was that both of them were not real kshatriyas. So they could not live under them. But the royal families like Poonjaar, Kilimanoor, Thiruvalla, Harippad, Cherthala etc. are considered real Kshatriyas, because of which before the Marthanda Varma invasion. This is how the name of "Potti" in South Kerala evolved (when The Travancre kings made some Naboothiris and Tulu Brahmins to settle and gave them every thing for free). Considering the fact(?) that Perumpadappu Swaroopam was started from a Namboothiri, they enjoyed all major positions above all Namboothiris except Azhvancheri Thamprakal. You might have notcied when you read about Smartha Vichaaram that it was the Perumpadappu Mooppil who had the final say to punish the people involved even though the offense happened outside the administratve territory of Cochin. Even the Namboothiris considered Perumpadappu Swaroopam as their administrative\political(?) head which caused the fight between Idappalli and Kochi. The longest feud that had exsisted between families of Kerala. It is well known that Zamorin was always aided, adviced and helped by Idapalli Kings (who were Namboothiris) whenever they attacked Kochi. The reason was Namboothiris did not consider Idappalli rajas (eventhough he is a namboothiri) as their head and considered Perumpadappu Mooppil as their head. Also Kochi never had any definite territories till mid-1700s as they were considered the king of kings (Which Zamorin never approved) and head of all temples "Gangadhara Kovil Adhikaarikal" which usually gave the privilege to rule over many temples which was maintained by royal families. The smaller naatturajyams used to consider and consult the Perumpadappu Mooppil for all details and used to pay him "Kazcha". The Perumpadappu Swaroopam had some Farmlands during those times for their survival. For eg. Ernakulam was ruled by Cheranellore Kartha, Chendamangalam by Paliath Achan, Kayamkulam by Kayamkulam Rajka before Marthanda Varma's invasion etc. They considered Perumpadappu moopil as their protector. Something like now Kerala is a state and India is a country. I am not sure why all rulers try to establish the aryan lineage, but may be because of the place Namboothiris held in the society and they wanted to be par with them. Also if you say so, all of the Malayalees (namoothiris, Nairs Kshatriyas etc.) are from aryan lineage. And the Melkoyyma of Perumpadappu Swaroopam was given by Cheraman Perumal itself. But I feel it is the present generation who is trying to do this. I have seen many write ups and articles where many issues are mentioned which has no relation to real history. If you are talking about the chavers, Logan has mentioned, it was in 1695, not 1755.
it was the same chaver, Hamilton had written about. Perhaps you might have some other source on 1755 chaver. Please share the source/ record of 1755 chaver. 55 chavers were killed in the Mamankam of Kollavarsham 858 (AD 1683). Please check the Mamankarekhakal. Thanks para - wow what a name.. The Putumara kandaru Menon link provides the name & details of the 16 year old boy. As regards the 55 people, I have to check further some old notes, but Hamilton stated about a 55 person slaying at the 1743 mamankham. Thanks for the quick reply. But it shows that my doubt was correct. "1683 - Mamankam festival. Account of Chaver attack at Mamankam of this year given by Logan .....The number of Chavers who came and died in the early morning the next day after the elephant began to be adorned with gold trappings - being Putumanna Kantur Menon and followers - was 18. " "In Anno 1695, one of these jubilees happened when the tent was pitched near Ponnany, a seaport of his (Samoothiri's) about 15 leagues to the southward of Calicut ......The 15 year old boy mentioned was Chandrath Panicker." The chavers that Logan had written about were of 1683 and 1695, not of 1755. “Logan and Hamilton about the Mamankam of 1683 and 1695 respectively,”not of 1755. The number 55 comes from Mamankam Rekhakal. I am looking for some folk-lore about the Kalari fighters. I am from Delhi, and donot know Malayalam language, and ask if anything is available in English (certainly, nothing would be available in Hindi, I believe). I may write the story/stories in Hindi, and get it published, so that Hindi-reading people also know about the history and valour of the kalaris and the fighters. I recently paid a visit to the historic sites associated with "Mamankam".Sadly,all of them are in ruins now. Could you please suggest some published works on this subject for further reading? thanks - there are many books which cover the mamankham festival. But read mamankha rekhakal or samoothiri nadu by NM Nampoothiri for more details. I belong to one of the families of Chaver Pada and have grown up hearing stories of our ancesters leaving to die in mamangam and how women were forbidden from crying when the men left, etc., etc. The four families who lead the pada (army) were Puthumana (to which I belong), Kovilkkat,(not kokkat) Chandrattil and Dharmothu ( I don't know if this house is also called Verkkot) The four families are closely related to each other since marriage among these families was very common. My grandmother said that Dharmoth Panikker was really a branch of Pudumana so marriage among their members was forbidden. The area Chittur, near Palakkad was being constantly attacked by the Tamils and the then Raja requested the Puthumana Panikker to come and defeat the Tamil army (Kongan Pada).The raja's wife was from the Valluvanad royal family.She had recommended Puthumana Panikker. He came and defeated the kongan Pada and the king gave him the Tharawad of Chondath which belonged to the king since there were no heirs there, along with the family title of Mannadiar and the village of Nalleppilly.The bronze "pattayam" of this is still with this family. A first let me introduce myself. I am a member of the Dharmoth Panicker family who keeps good interest in our ancestral moorings. In some of the last comments to your blog I found the family of Dharmoth Panicker included in those of the warrior chiefs of Valluvakkonathiri. This is quite a false statement because ever since the Dharmoth Panicker appeared in the history of Calicut, they existed as the generals and advisors to the Zamorins. They maintained their posiion till the end of the Zamorins rule in the nineteenth century. Hence it is baseless to say that this family were with he vellaatiri and supplying chavers for every Mamamkam. Legend says that the first Thamme Panicker came from Thulu Nadu and the then Zamorin was astonished wih his skill in marital arts and appointed him as Guru of his kalaries and general of the army. Then it is absurd to find relations wih Puhumana Panickers, as Smt Devasena says. More over this Puhumana Panicker may hay have still older roots in the Kerala hisory because the polity that thrived around the Thirumandhamkunnu Temple was quie older than that of the Zamorins. Here are some more proofs for he distintinctiveness of these two families. The modern historian of he Zamorins, Sree. K.V. krishnayyar has stated about the important role the Thamme Panicker had to take during he ARIYITTUVAZHCHAS of new Zamorins. He also states that the senior most DharmothPanicker had a role in the Mamamkam Fesivals also. It is read some where that one of the conditions the Ducth authorities put forward in seventeenh cetury for a treaty with Zamorins was to remove Dharmoth Panicker, (whom they called Der Hilmot Phanilkar)from all services to the king. 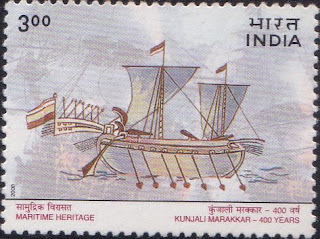 Later in the nineteenth century, when the Zamorins were subjugated by the Briish and Calicut was annexed to the Briish Malabar, the king, his family members and top officials were given annual pensions in the name of Malikhan. One can see the name of The Dharmoh Panicker as one among the list. In the Zamorin's compound at Kozhikode, even at present is a building which is maintained and called as the Kutiyirippu of Dharmoth Panicker. I am presenting all these points here to establish that the Dharmoth Panickers were not in the group of famlies who supplied chavers. Those supplied the chavers were the Chandrathil Panicker(Malappuram? ), Kovilkkaat Panicker(Keralassery? ), Verkot Panicker(Kongad?) and Puthumamna Panicker(?). will study your comment in detail and revert..
Chondath family of Nalleppilly, Chittur, Palakkad is a distinctly different family from Pudumana. The Pudumana panicker family is still very much there somewhere near Perinthalmanna. Chondath Mannadiars were originally from Tamilnadu, and from what my ancesters said, came from Kangeyam, near karur, Tamilnadu and belonged to the Manradiar family, which is a zamindar family there, known as the Palayakottai zamin. The Gounder zamin families of these areas in Tamilnadu, namely Uthukkuli,Samathur and Palayakottaiare are closely related to each other.And these families from Tamilnadu were routinely invited for every important functions in Chondath. My grandmother remembered these zemindars when they visited. So, the Chondath Mannadiars, who were actually Pudumana Panikkers, identified themselves as Chondath Mannadiars. But, even during my mother's childhood, in the late 1930s, the Chondath family had close ties with Pudumana and the members of the families used to visit each other. Then, they severed ties with each other, removing the "pulabandham" and there has been no contact between the two families since. I am still trying to find out where the Pudumana Tharavad is, so that I can go there. Regarding Dharmoth Panikker being on Zamorin's side, this is the first time I am hearing it. My aunt, who is from Kovilkkat Panikker veddu (yes, it is in Keralassery), is closely related to Dharmoth. Even she maintained that Dharmoth Panikker was also a member of Chaverpada. After writing the last post, I made some enquiries among my relatives and an uncle of mine confirmed what Mr.Chandrashekharan said about Dharmoth Panikker being generals of Zamorin. Ofcourse, as a member of the family, Mr.Chandrashekharan would know better than me. I sincerely apologize for the mistake. But the rest of my statements, regarding the Chondath family, are quite correct since I belong to the said family. And thank you, Mr. Chandrashekharan, for setting me right. After my last post I made some enquiries and an uncle of mine confirmed what Mr.Chandrasekharan said about Dharmoth Panikkers being the genarals of Zamorin.Thankyou, Mr.Chandrasekharan, for setting me right. After Ms.Devasena'comment on what I have pointed out ,I have paid a visit to KOVILKATT PANICKER' tharavadu at Keralassery and there I have met the present Kovilkatama,as she had well versedin ancesteral moorings and hybrid memory.And I still hold on what I have pointed out earlier about Chondath Mannadiars. Hello, this is in reference to Mr. Chandrasekharan's posting dated Nov. 18, 2011. He wrote,"Those supplied the chavers were theChandrathilPanicker(Malappuram? ), Kovilkkaat Panicker(Keralassery? ), Verkot Panicker(Kongad?) and Puthumamna Panicker(?)" I just wish to confirm that Verkott Panicker family still exists in Kongad. My family (Changarath) had purchased and held the ancestral Verkott home for over 40 years and it was always called by the people as "Verkott Veedu" although we had named it differently. I have heard that the old home, parts of which are said to be more than 250 years old, was once the home of Verkott Panicker warriors who went and fought at Maamankam. Today, there still exists a branch of Verkott Panicker family just south of the Primary School. For the information of Ms. Devasena. The ancestral family seat of Puthumana Panicker family is near Koppam near Pattambi in Palakkad District. That was not(near Koppam) Puhumana 'Panicker' Mr.Achuthanathan but Puthumana'Menon',better your brother and historian Mr.Rajendu know all these very well, I think. please see the another blog.its has some thing different to say. I am from Gujarat and a non-resident keralite. I would like know the terrorites (borders) of second cera kingdom... what is the importance for pariyar river. as you can imagine some of those figures are exaggerated.It only gives a general idea of strength and what a ruler claims he can marshal. First of all let me introduce my self. I am a member of one of the branches of Dharmoth Panicker family settled in Karakurussi, Palghat about 250 years back. Our 'Tharavadu' known as Puliyakkotu Koramannil. As Mr Chandrasekharan said I have also not come across any evidence that Dharmoth Panicker had a role in Chaver Pada'. Ofcourse during the period of Mamankam though the Panicker family said to have been disintegrated from King Zomarine it never paved a way to fight against Zomarine. Pls give me your mail id or any other contact details as am looking for some important information.